MICHELIN Latitude Sport 3 has the homologation with most famous SUV models and brakes 2.70 meters shorter *…and with MICHELIN Total performance, more performances brought together. 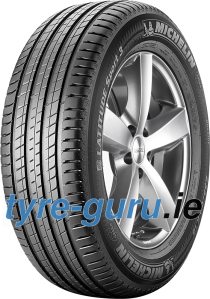 *Compared to its predecessor, MICHELIN Latitude Sport, TÜV SÜD test 2013 on wet road (235/65 R 17). MICHELIN Latitude Sport 3 has an 'A' rating for wet grip in the majority of its sizes.